There are 370,000,000 more diabetics in the world. The effect of Zinc has been reported on diabetes recently. It compared non Zinc group with Zinc group in diabetes. Blood glucose level has been controlled by Zinc taking. 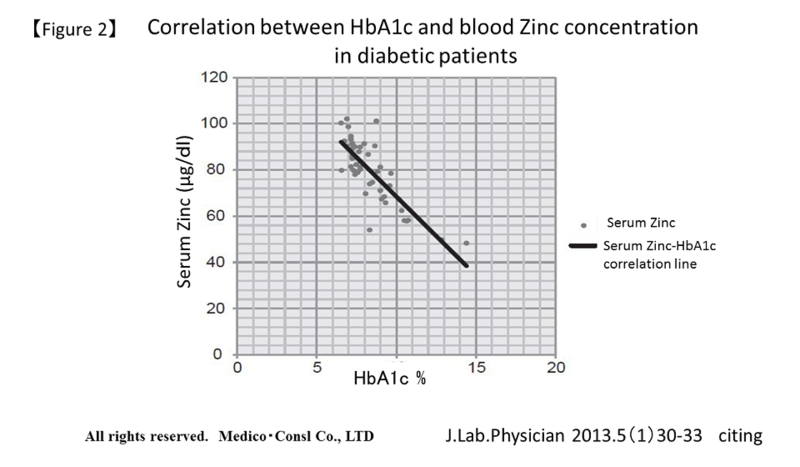 It shows the relationship of HbA1c and blood Zinc concentration in diabetes. 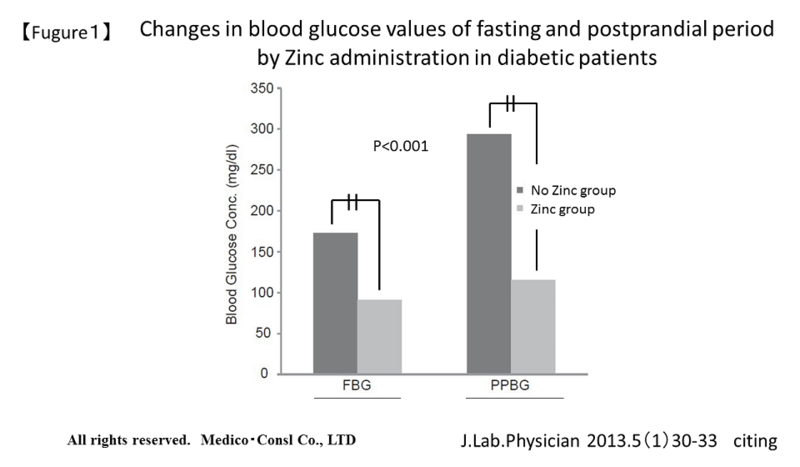 Blood glucose level and HbA1c has been improved by Zinc administration. Zinc was used 22 or 30㎎ per day in this study. 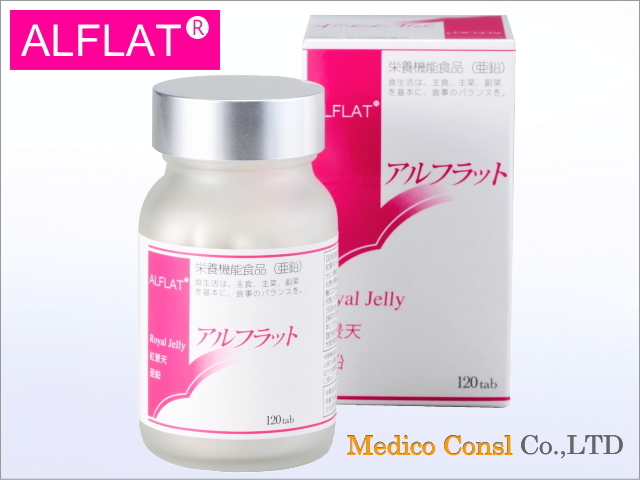 This corresponds to Zinc amount included in ALFLAT® 6-8 tablets.